Spokane, Wash., Oct. 14, 2016 - The FAIR Institute, an expert, non-profit organization led by information risk officers, CISOs and business executives to develop standard information and operational risk management practices, announced winners and finalists of the FAIR Awards at the inaugural FAIR Conference (FAIRCon) today at Wake Forest University Charlotte Center in Charlotte, N.C. The FAIR Awards honor risk management leaders for their initiative, ingenuity and contributions to information and operational risk management. The awards recognize the deep impact risk professionals have made on their organizations. By enabling operational excellence and effective decision-making they achieve the balance required to successfully protect their organizations while seamlessly running the business. 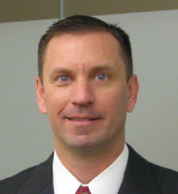 FAIR Business Innovator winner: Chris Cooper, VP, Operational Risk and Interim Chief Compliance Officer (CCO), Reinsurance Group of America (RGA). Chris’ leadership resulted in RGA being the first company to implement FAIR-based quantitative third party risk assessments and conduct enterprise IT risk analysis and trending on a regular basis. He also extended the use of FAIR to new domains such as operational risk. He lectures on FAIR at Washington University in St. Louis and presented on the subject of Quantifying cyber risk with FAIR at industry conferences. 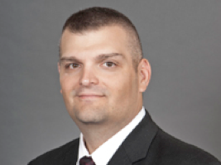 FAIR Champion winner: Joel Baese, Senior Risk Manager, Walmart. Joel used FAIR to move to quantitative risk analysis at both a major defense contractor and the world’s largest retailer. He stumbled into the risk management profession following a promotion, and inherited risk assessments depicted with heat-maps that ultimately were impossible to defend. He set out to find a way to quantify risk and soon discovered FAIR reading a whitepaper written by Jack Jones, Chairman of The FAIR Institute and the author of FAIR. At that point he became a believer for life and has since incorporated FAIR in every endeavor. In his latest assignment, Joel has been instrumental in creating a quantitative risk management program that helps his company prioritize top risks and the associated risk mitigations. FAIRCon attendees gain strategic insight on information risk management from industry leaders; learn about real-life implementations from FAIR Champions; network with industry peers; and learn how FAIR is breaking down entrenched communication barriers between IT and the business, enabling cost-effective decision-making. Sponsored by RiskLens, Bank of America and Evolver, FAIRCon features candid executive and practitioner-led discussions and working groups and has attracted C-suite officers and practitioners responsible for information risk management decisions. The FAIR Institute is an expert, non-profit organization led by information risk officers, CISOs and business executives, created to develop and share standard information risk management practices based on FAIR. 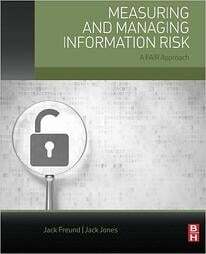 Factor Analysis of Information Risk (FAIR) is the only standard quantitative model for information security and operational risk. FAIR helps organizations quantify and manage risk from the business perspective and enables cost-effective decision-making. Learn more and get involved by visiting www.fairinstitute.org.